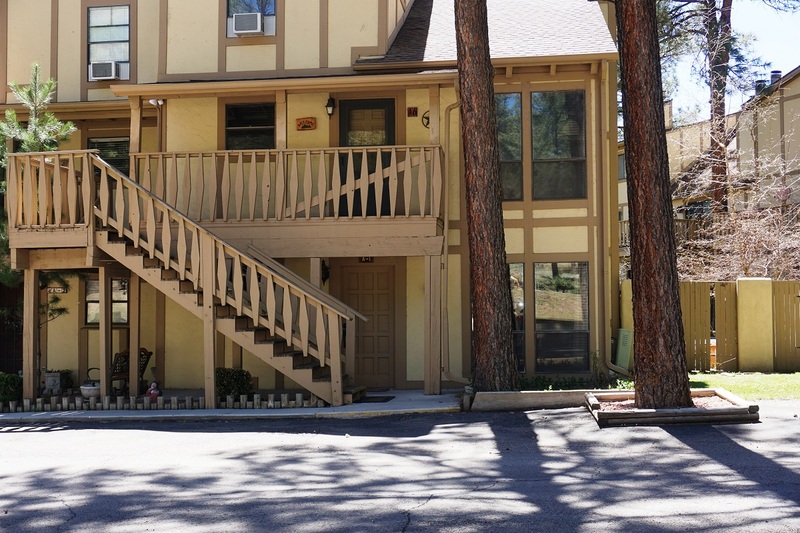 Condo 1A is a one level unit with a ground level entry. 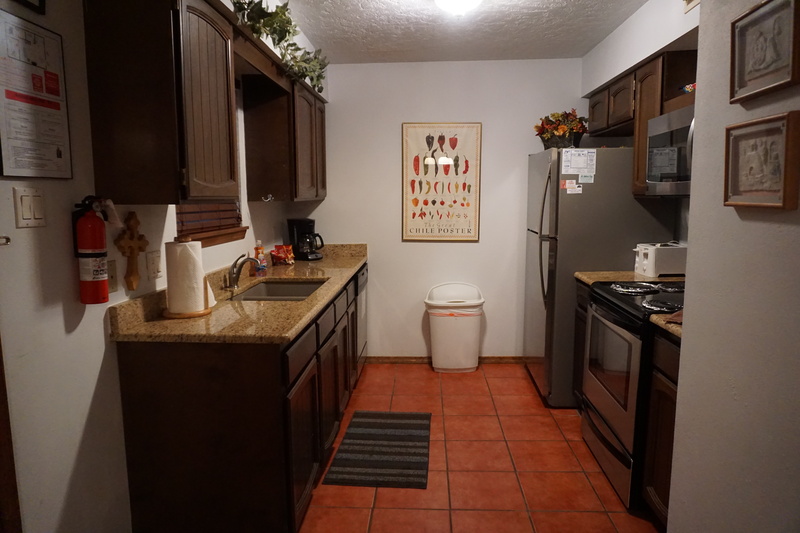 This condo has one bedroom and two bathrooms. 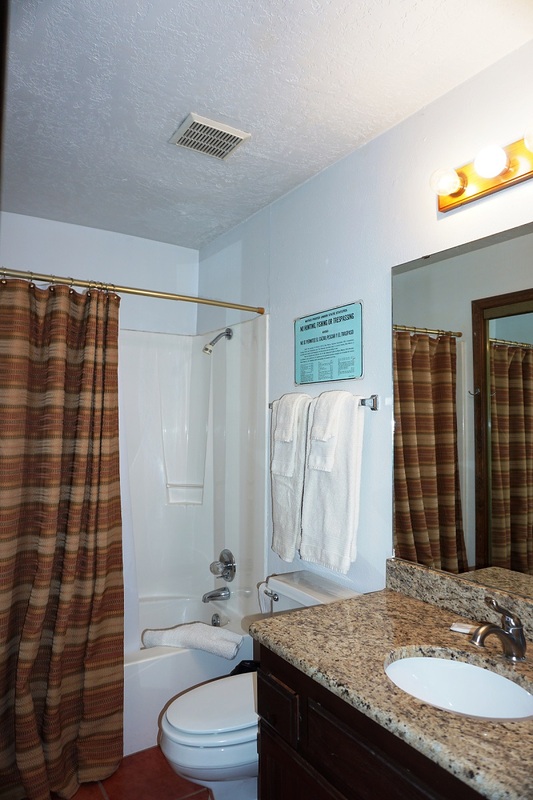 Total occupancy is four people. 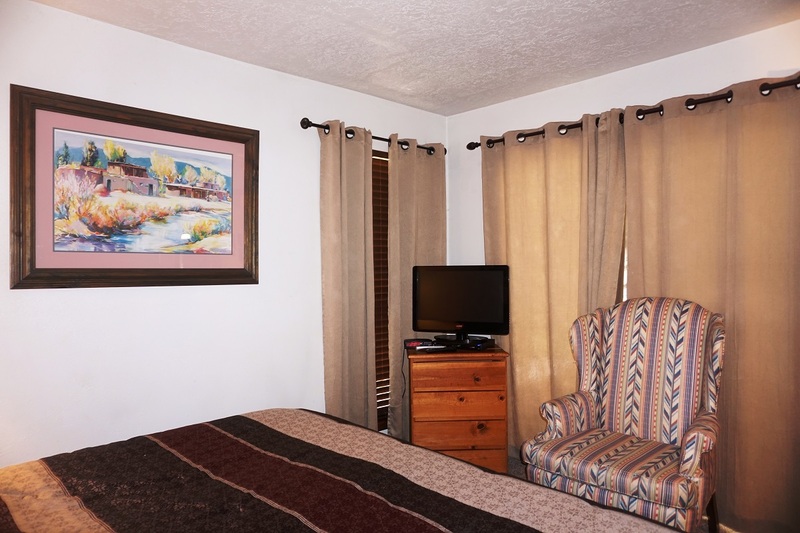 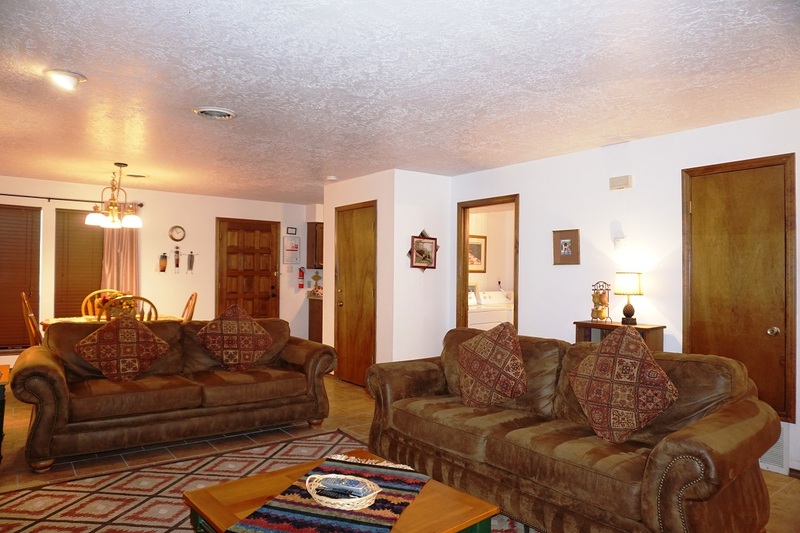 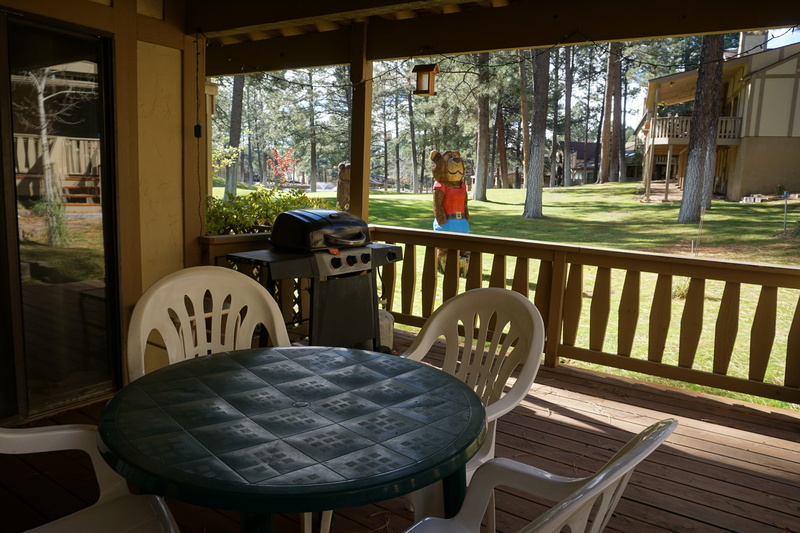 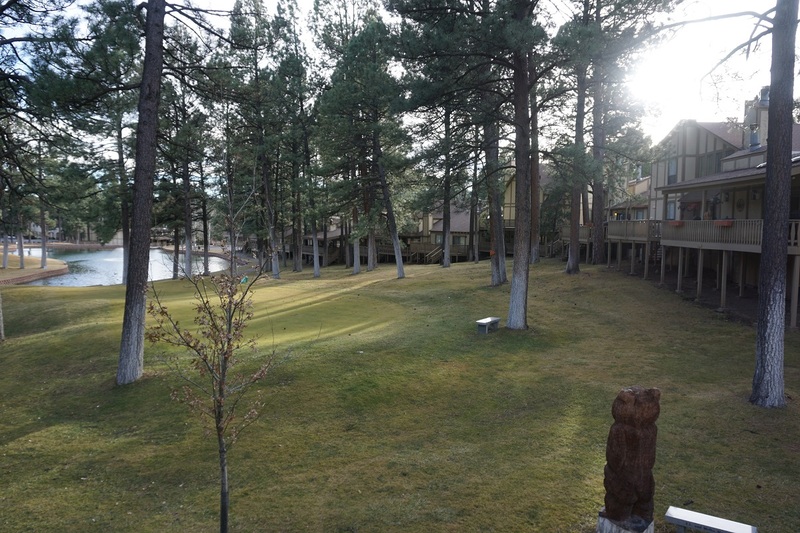 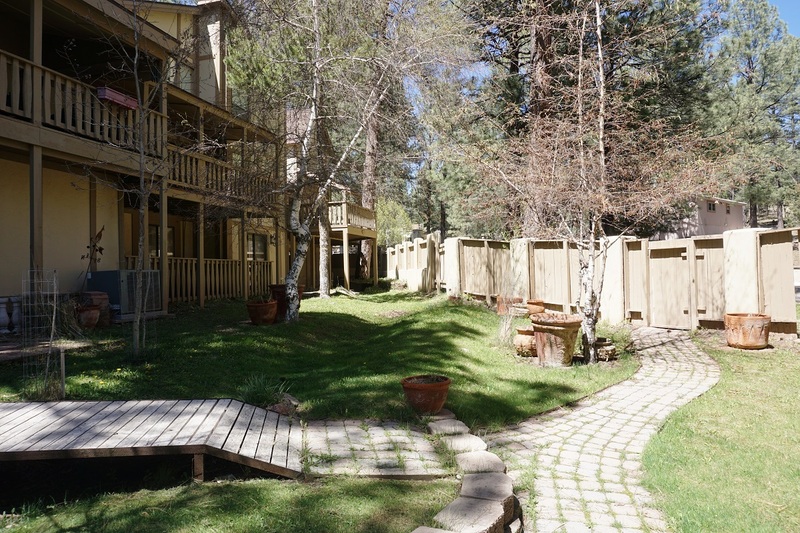 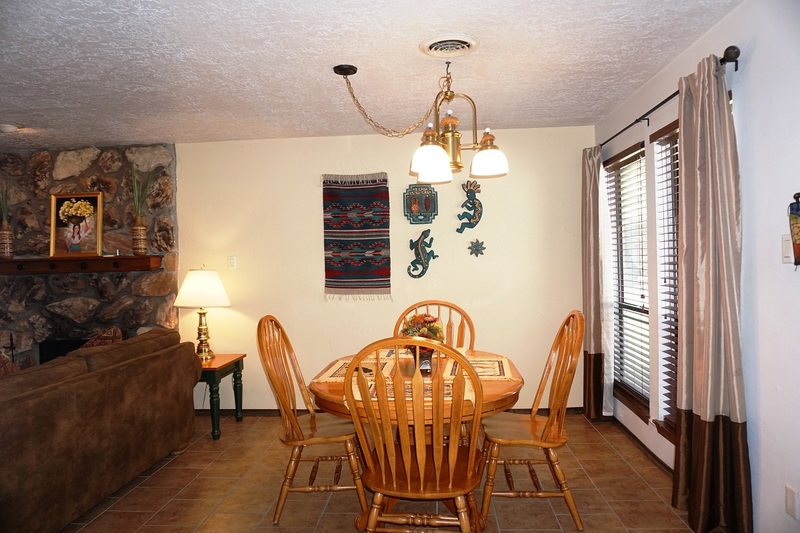 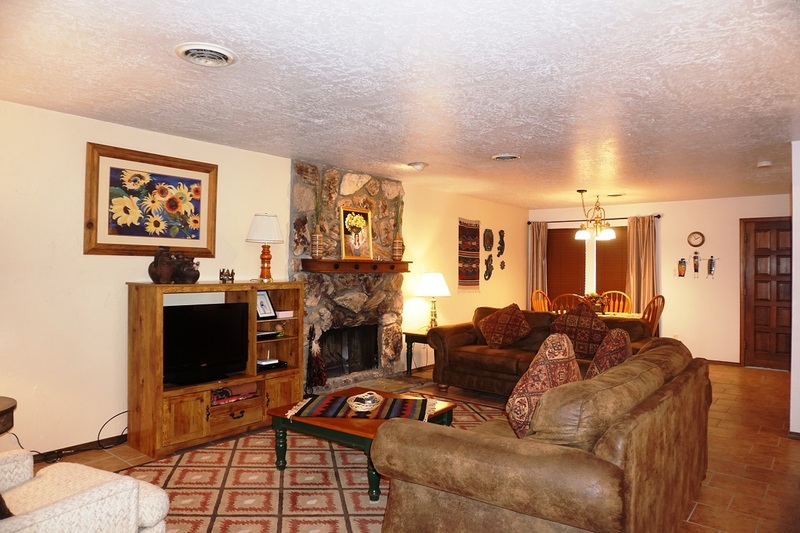 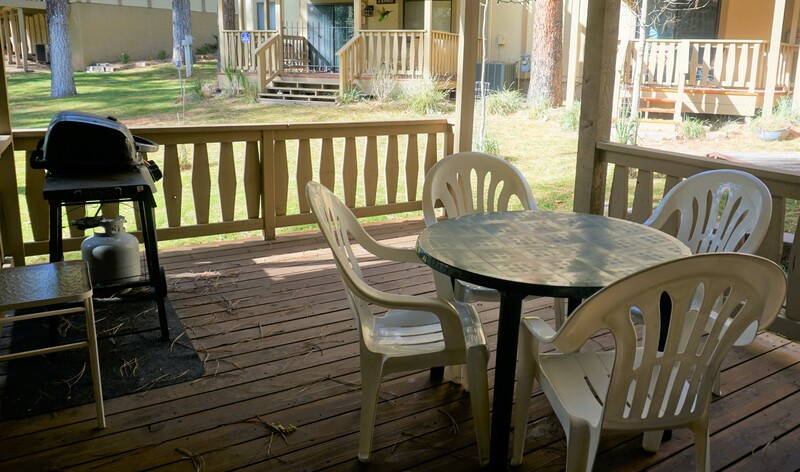 This unit has a view of the golf course and the trout fishing lake. 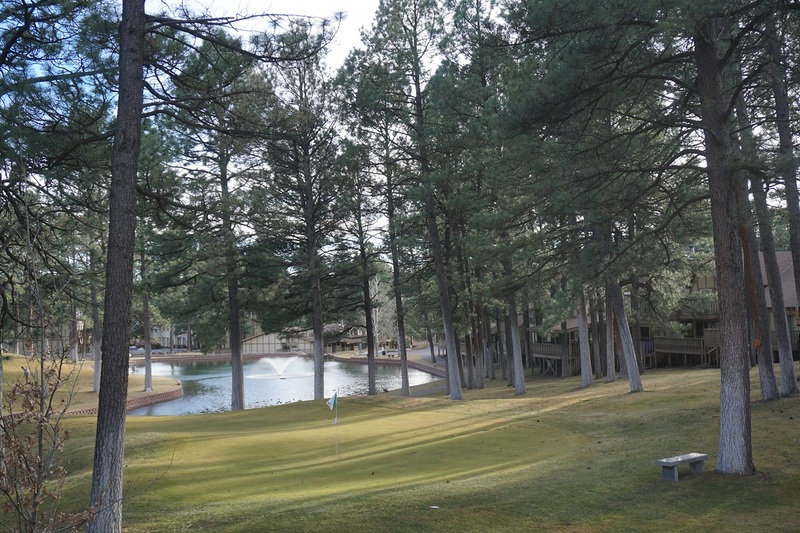 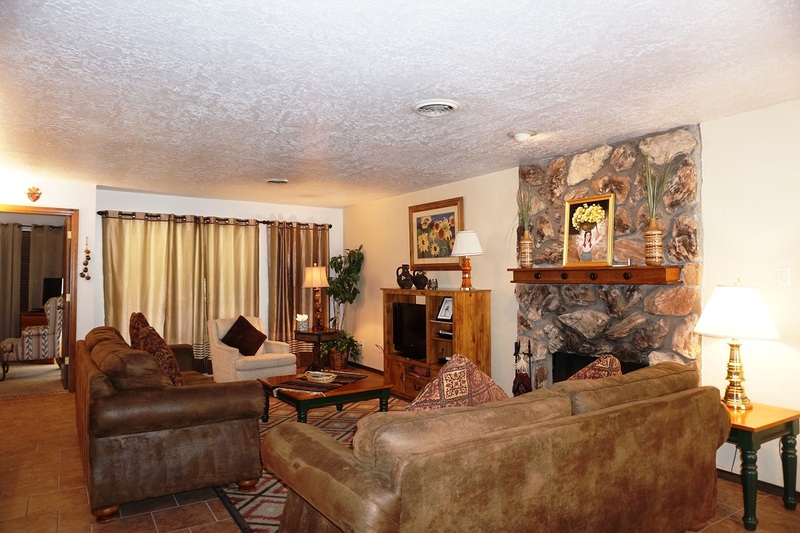 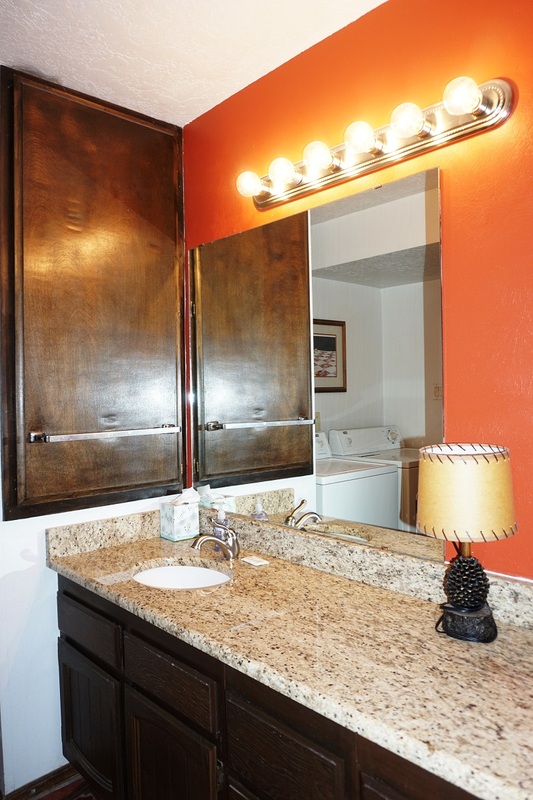 This condo is located on the golf course next to the number nine hole. 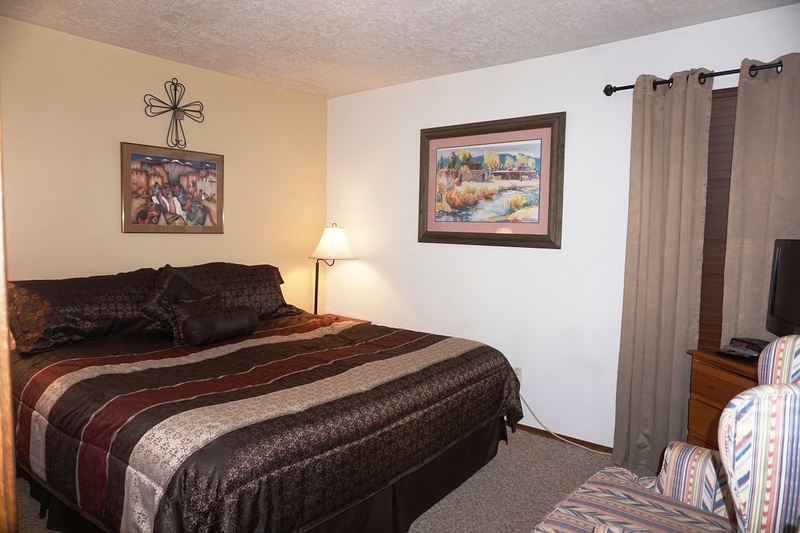 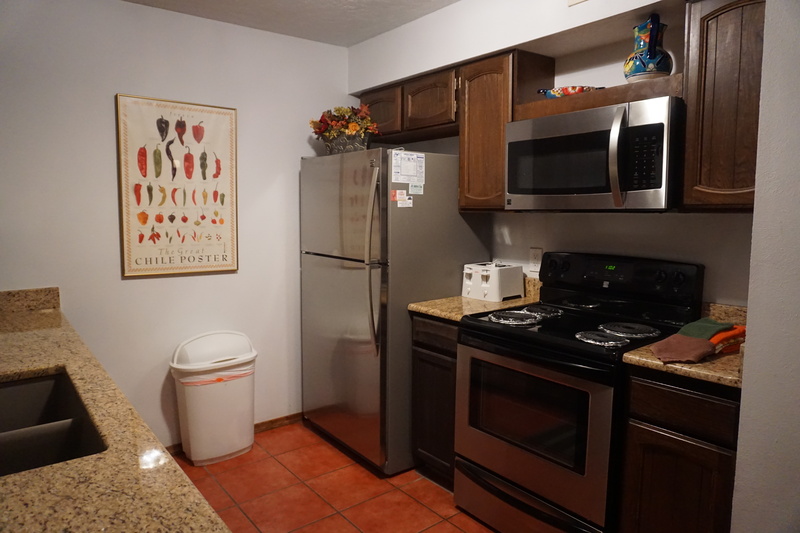 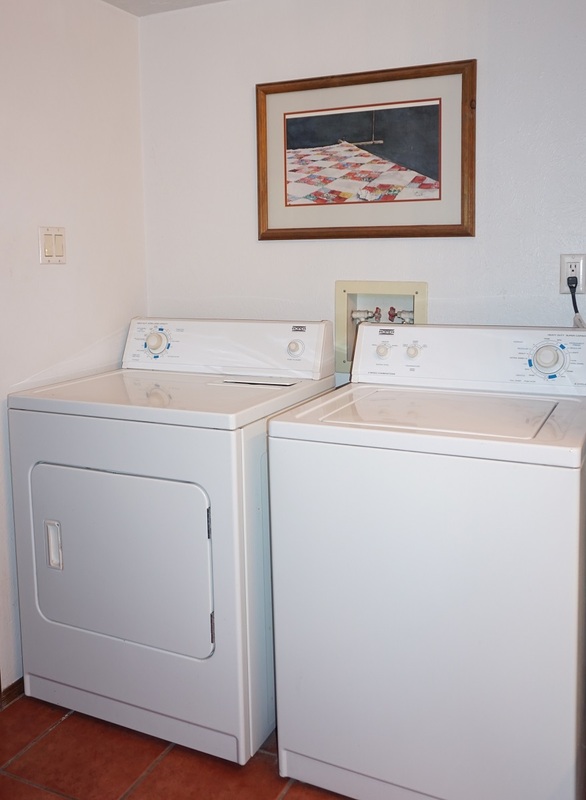 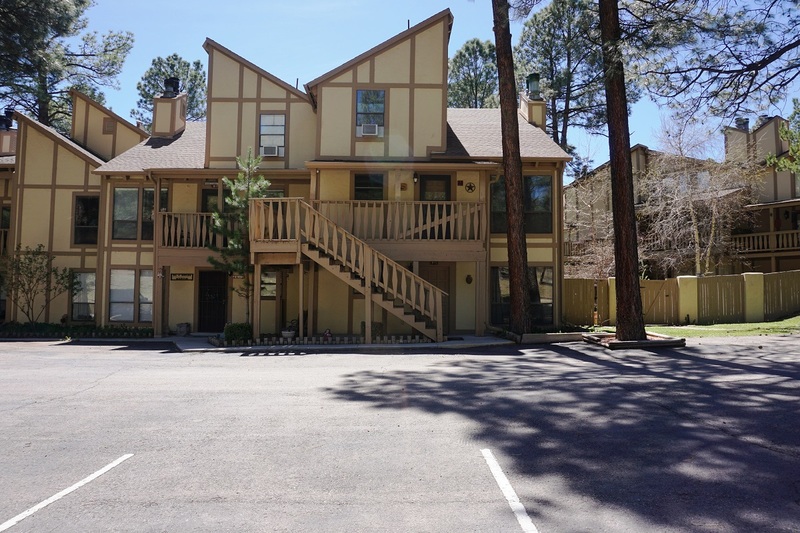 The condo has a sofa bed in the living room, a wood burning fireplace, central air, a covered back deck, a walk-in shower, washer and dryer, and wireless Internet. 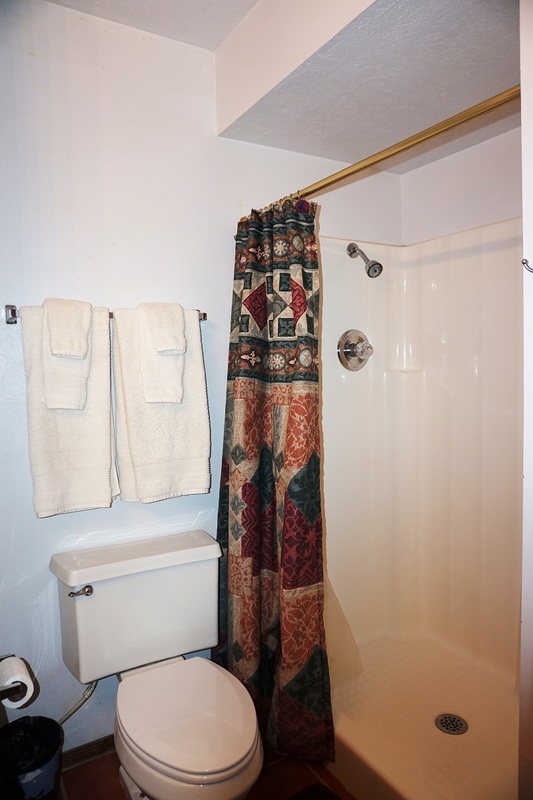 Total square footage is 900.